The first true hip hop cut-ups are products of the live party environment. Sure, routines were sometimes premeditated, constructed and worked on beforehand, but the only way they were to emerge on vinyl – ‘Fusion Beats’ excepted - was as live mixes, recorded straight off turntables. Sometimes at a party, sometimes in the studio – but live nonetheless. From the beginning, performance was at the very heart of hip hop. Walter Gibbons may well have started making his reel-to-reel edits partly to save the wear on his 45s, but to those masterminding parties on block corners, in parks or in youth centres all over the Bronx in the late 1970s, your DJs had to be doing it right there in front of you. Even if they’d turned their decks off and were pounding the hell out of a beatbox. It wasn’t just a case of restricted resources or uncontainable party spirit – it was also, quite simply, early days. In terms of working out how to capture all this on vinyl, no one had really thought beyond switching on a cassette deck at a jam. As a result, from today’s perspective, the first vinyl cut-up to emerge from the fledgling uptown hip hop scene seems too drawn out, not chopped up enough, too live’n’loose to be classed as conventional cut’n’paste. And as for the audio quality – forget about it. As one of its makers was to say, it sounded ‘like doo doo’. But Afrika Bambaataa and Jazzy Jay’s 1979 ‘Death Mix Throwdown’ was the first record to show the world something of the style and atmosphere of those formative years. And, crucially, it became an early indicator of what obsessive break-hunting and turntable tricknology could bring to cut’n’paste. As such, it’s the rambling, shambling dirty old uncle of turntablism’s first bold cut-up statement, ‘Adventures on the Wheels of Steel’. Being a Paul Winley record, however, the ‘Death Mix’ was only ever going to infuriate its creators. As Bambaataa recalled to David Toop in 1984, ‘This is a tape like – suppose she came to my party and made a tape, and she made a copy for you, and you made a copy for me, and I took the tape and gave it to him, and he put it on record … It was really a bootleg type of mess’. 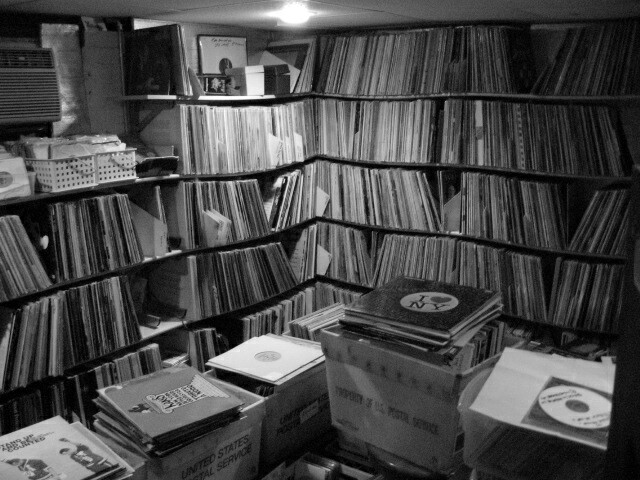 But it’s also a beautiful type of mess, perhaps especially to those born far from the Bronx, who found in it not only a certain raw spirit but a lost archive of esoteric breakbeat knowledge. The enduring appeal of the ‘Death Mix’ can be seen not only in the way its constituent parts continue to be rinsed today, but by the fact it has generated its own cut’n’paste tribute tracks – one in jest, the Mexican’s ‘Deaf Mick’s Throwdown’ – the other in deadly earnest, ‘Tribute to Jazzy Jay’ by the Bronx Dogs. Grandmaster Flash’s ‘Adventures on the Wheels of Steel’, meanwhile, was itself accorded the accolade of being hijacked by Double Dee and Steinski on their inaugural ‘Payoff Mix’ (surely one of the first examples of a cut-up track cutting up a cut-up track). Nowadays, Flash’s mastermix is perhaps the most famous of the hip hop cut-ups in terms of reputation and recognition, and not just because of the enduring familiarity of most of its ingredients. The motivating inspiration behind a thousand DJ tracks, ‘Adventures’ also qualifies as a bona fide cut’n’paste classic for its sheer variety, musicality and intelligent structuring. The change in key between the b-lines of ‘Another One Bites The Dust’ and ‘Good Times’, the rubs and chops introducing each new section, the sixteen climactic bars of ‘Ninth Wonder’ dropped right in the middle, the cutting in of the Furious Five’s names along with their zodiac signs – let’s just say that there are cut-up records coming out now which don’t even approach the level of compositional nous displayed by ‘Adventures’. That the mix still works wonders on dancefloors betrays the fact of its live, party-rocking origins. Of course, it was a routine Flash deliberately constructed for the studio - using his turntables like an Edit King would use tape, testing his skills to the max in an effort to get the combination of elements just right - and not something he attempted too often in a club (although UK hip hop veterans will remember him replicating it at Fresh ’86). But studio or no studio, fifteen takes or not, it was all live off three turntables. And thus, like the ‘Death Mix’, ‘Adventures’ strikes a blow for the real-time of the Bronx against the reel-time of downtown. Even today, Flash gets quite animated about reel-to-reels. As he described it to BD’s special correspondent Tim Saccenti in New York recently, uptown, everyone was too poor to afford the pricey machines, and in any case they were too busy throwing parties. They made their mixes with turntables, casssette decks, and combinations of them. [The other recognised cut-up of the time, ‘Fusion Beats’, by Afrika Bambaataa, Afrika Islam, and Jazzy Jay],is a masterful example of a pause-button edit, stringing together ‘Get Up, Get Into It, Get Involved’, ‘The Champ’ and ‘Let a Woman be a Woman’ using only a cassette deck. It appeared on Bozo Meko records in the early ‘80s, alongside the live version of the Furious Five’s ‘Flash to the Beat’. So no disco reels for Flash, even when he wasn’t doing it live. ‘Reel-to-reels ain’t my style, man’, he says, revealing that the issue went deeper than price tags. Equally, it had to do with forging an individual way of doing things, for himself and for hip hop, which contrasted with what was happening downtown. … whatever happened to the definitive early Bronx studio cut-up? Kraftwerk’s ‘Numbers’, Babe Ruth’s ‘The Mexican’, ‘Do You Like It’ by B.T. Express. A lot of the songs with breakbeats that Bambaataa used to use. We used a Rick James song, as many songs as we could but just the bass lines, whatever the hooks were, and we tried to string ‘em all together in some way using Oberheim synthesisers. It didn’t have any rapping on it. From Sliverman’s description, it seems that the excerpts were replayed on the synth rather than ‘sampled’ (i.e. tape-edited), but we’ll never know for sure. And if Bambaataa ever kept a copy, he’s not telling. Perhaps, to paraphrase the song, it wasn’t all good. We can only imagine. The blame for the lack of a definitive early Bronx studio cut-up cannot solely reside with Tommy Boy’s carelessness, however. Perhaps, back then, the priorities were just different, and if the experience of ‘Planet Rock’ was anything to go by, the publishing costs of copying bits of other people’s records could be high. And unless you were going to use a reel-to-reel or replay entire tracks (and outside of Sugarhill and Enjoy, who could afford to hire session musicians? ), the technology wasn’t around with which to construct such records. Certainly, there were some fine DJ tracks appearing, but joints like the B-Boys’ ‘Rock the House’ and ‘Cuttin’ Herbie’ were content with manipulating only one or two elements over a constant beat. The prevailing attitude may well have been to leave all that megamix stuff to the downtown radio editors and get on with experimenting with the electro sound which Baker and Bambaataa had brought to the table. Appropriate, then, that among the only recognisable Zulu-related studio cut-ups of the early-to-mid ‘80s are the electro segueways of Grandmixer D.ST. Herbie Hancock’s ‘Megamix’ (on the flip of the CBS ‘Future Shock’ 12” in 1984) is arguably the best, cutting in Time Zone’s ‘Wildstyle’ over and alongside ‘Future Shock’ and ‘Rockit’ and including some wigged-out scratch routines, neat edits and effects. His follow-up effort is also worthy, ‘Megamix II (Why Is It Fresh)’ (Celluloid 1984), but perhaps it serves better as a vehicle for his phenomenal scratching skills than anything else. And don’t be fooled by the title of ‘Grandmixer Cuts It Up’, the record he put out with the Infinity Rappers in 1982 . As the lyrics state, D.ST’s ‘a hypnotiser, a mesmeriser / He can cut the beat / Or play the synthesiser’, but on this joint he chose to stick with the latter. Ultimately, D.ST’s major contribution to the cut-up genre was not to be through any of the records he put his name to, but by the way he influenced Danny Krivit’s ‘Feelin James’ and ‘Rock the House’, and by extension, Criminal Element Orchestra’s ‘Put the Needle to the Record’ (see Part One in BD 11). To restate, Krivit – the downtown DJ and reel-to-reel editor - was inspired by some of D.ST’s live turntable routines at the Roxy. If this is ironic in terms of the ‘downtown v. the boogie down’ scenario painted here, it’s also fortunate for the history of cut’n’paste, because they would never otherwise have been committed to wax. If one thing is apparent from this (so far) fairly New York-centric history of the cut-up, it’s that the distinction between downtown and uptown proves most fruitful when it collapses in on itself. Arguably the most creative and influential of all the hip hop cut-ups, Double Dee and Steinski’s ‘Lessons’ series, was made not by aspiring Bronx turntablists but two [middle-aged], middle-class white men with no real hip hop credentials - other, that is, than the important ones, an absolute love for the music and a blatant disregard for the rules. We went down to Tommy Boy, who was pretty astonished – he was like ‘What are you, two old white guys? We got 70 entries here, and you guys were far and away the best, and look at ya!’ We met him and got the t-shirts and the records, split the hundred bucks, he took a picture of us and shook our hands and said ‘Fine, it’ll be out on Disconet’, and Douglas ran off a bunch of reel-to-reel copies of the mixes for the radio stations that agreed to air the winning piece. Inspired by their success, the pair tried it again, this time coming up with a James Brown cut-up. ‘We brought it to Tommy Boy and they said “Oh yeah, we’ll put this out” – they did, and woo-hoo, the same thing happened again! Yahoo, the latest thing from Double Dee and Steinski!’ Thus ‘Lesson Two’ came into existence (again, initially, as a Disconet DJ-only release). Perhaps the most irreverent JB mix ever produced – is that Junior’s ‘Mama Used to Say?’ next to The B-Boys’ ‘Rock the House’ in there? – ‘Lesson Two’, like its predecessor, also fed voraciously on a previous cut-up track, [adopting the intro from ‘Feelin’ James’]???] before wandering off on its own contrary way. As Steinski recalls, it was this mix which gave the name to the series. ‘Even though we called them “lessons” it was sort of coincidence, it was like “Oh look guys, at the start of this record your guy says ‘Lesson Two’”. “Oh, fine, put it on”. [laughs] So they became lessons, it wasn’t like we sat around like “Now, another message from out two great minds.”’. ‘Lesson Three’, however, seemed very much like a message from two great minds. An immaculate collage of hip hop’s most famous breaks, and therefore aptly subtitled ‘The History of Hip Hop’, the mix also displayed the masterful selection and timing of spoken word excerpts for which the duo were becoming renowned. Although Herman Kelly put a spanner in the works of any official release, ‘Lesson Three’ appeared first on Disconet before joining its predecessors on a rare-as-hen’s-teeth Tommy Boy promo. The series was complete, and would forever thereafter be known simply as The Lessons. It’s tempting to wax long and lyrical about the importance of The Lessons – their off-kilter funkiness, their invention, their pinpoint beat placement, their ability to tell a story or create an absurd scene – above all, perhaps, their overriding sense of humour. Coldcut’s Matt Black even credits the records with kickstarting the sampling revolution. Its also important to understand The Lessons within the wider context of the careers and experiences of its creators. While the mixes themselves are now widely known, thanks largely to incessant bootlegging, surprisingly little has been printed about the histories, philosophies, techniques and obsessions of Double Dee and Steinski themselves. It’s time to go some way towards setting that straight.